Do you ever feel... overwhelmed by your collection? ...Because I think I’m finally at that point. :/ I feel like my collection has just become too MUCH, and I’m not enjoying any of it as much as I did when it was smaller and more focused. Displaying them has become a chore, since I now have to dig through a ton of boxes to find what I’m looking for. I’d love to sell some of it off and get back to having a small, well-loved collection instead of a giant, chaotic, messy one. Do you/have you felt this way before? 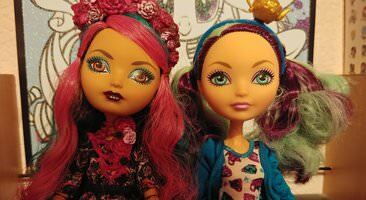 How did you go about downsizing (the hugeness of my doll stash is intimidating, lol)? Re: Do you ever feel... overwhelmed by your collection? I did, I was at a point where I had to collect them all and at some point I think I had all of them, but I looked more at them and got overwhelmed. So I decided that I would slowly sell my least favorites and got it to a point where I have only the ones I really love, once I started it was a lot easier than I thought. I'm pretty much at this point too. I guess it's good the MH is really slowing down on releasing dolls because I'm not sure how many more I can get before it's just too overwhelming. A good amount have come and gone over the years, but I still have a good chunk! I'm mostly overwhelmed when it comes to the semi-annual dusting. It takes a few hours!!! If we’re talking strictly MH... I have around 400 unique dolls altogether. Most are mint and complete. Then I have some baits which I really need to go through and thin out, since I have no intention of making THAT many customs. I have around 100 EAH as well. Honestly though? My MH/EAH collection isn’t the problem—I can handle organizing and displaying that many dolls. The problem is the rest of my collection, which is a hodge-podge of many other brands. Altogether, I probably have about 1200 dolls. 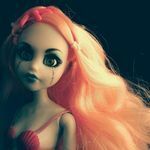 Sadly, most of said dolls are neglected and boxed away... Whereas I find time for my MH/EAH and a few other lines (OUaZ, Bratzillaz, EQG), a lot of those other dolls just end up in perma-storage. :/ It’s a shame, and I’d rather they went to someone who would appreciate and enjoy them. I certainly don't feel overwhelmed by my Monster High collection, as I still don't have many dolls. I've been collecting since October and have 25 dolls so far (plus 6 EAH dolls). My largest collection by far is my MLP one, been collecting that since 2011 and have at least 600 ponies, but even that doesn't really overwhelm me, but I am frustrated that since my room is so small, my ponies, and most of my other collections, are pretty cramped. I've started to work on getting more shelves up on my walls in an attempt to fix this problem though. But I still have to keep a lot of collection stuff in storage, mostly a lot of my Sanrio and Pokemon items. Plus most of my MLP playsets and accessories. I'm not sure I have quite that many dolls but I do have a lot of small figures like MLPs and LPS, those might be in the thousands. It's more than I can currently display. I do want to get more shelves and display them someday so I don't want to get rid of them. And if I see a good deal I need to get it now especially with dolls because once they are out of stores my only options will be getting them from a collector and paying collector pricing or from the thrift where they will be missing clothes and accessories and have ratty hair and other issues. I often hear people say to pack things up in a tote for a while and if you don't miss them get rid of them but I'd add an extra step. If after they been packed away you don't feel any joy when you go through them that's when you should let them go. I did, yes. I got to a point where my collection just felt too big to appreciate. 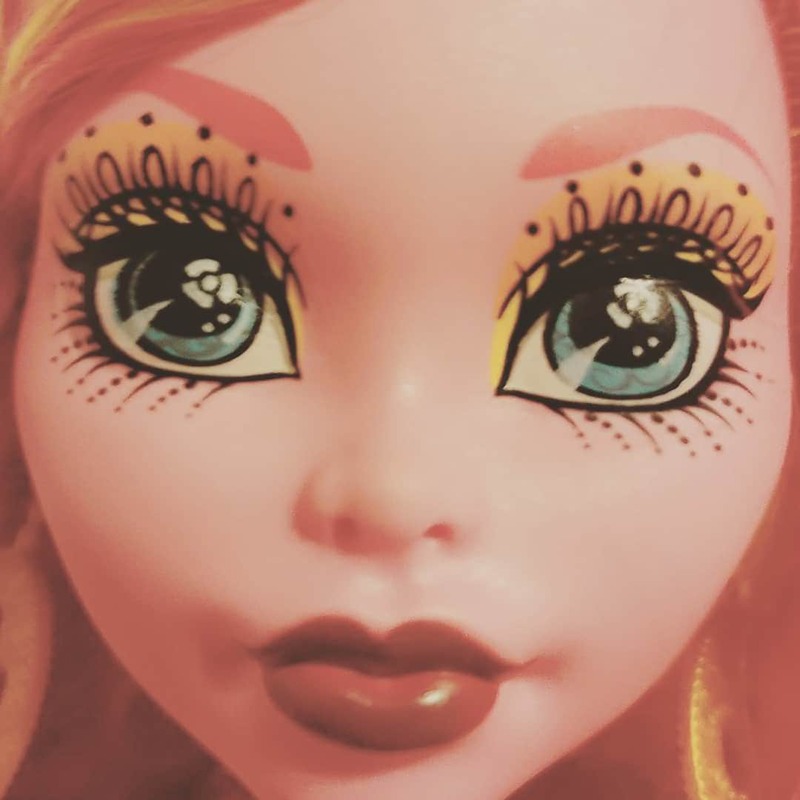 I was regularly finding dolls that I had completely forgotten I even owned because I was pouring all of my attention into a handful of dolls while the rest were being completely ignored. I thinned down my collection by quite a lot, and now I feel better about it. But truthfully, it could stand to be thinned down a bit more. I've gone back to collecting action figures and haven't bought a new doll in a very long time now—and I have no intention of buying any new dolls for the foreseeable future—so I'll probably get rid of a few more before the year's out. Having said all that, I tend to feel overwhelmed by even a small amount of [what I perceive to be] unnecessary clutter. My family has a history of hoarding and I think that has caused me to be very wary/borderline afraid of owning too much stuff. So I will regularly go through my belongings and various collections and cull anything and everything that I don't actively use/enjoy/display anymore. I do this with toys, clothes, kitchen gadgets and utensils, books... basically anything that starts to pile up. My collection itself.. no. Displaying everything.. ooooh yeah. x__x; I'll get it all up eventually! I just collect the basic ones of each character, so I dont have that many. And then all the Power Rangers teams from over 25 seasons. I like minimalistic displaying, so i have them in stands inside big Ikea glass cabinets. I should take some pics! Please do! Im a huge Spice Girls fan too. I'm VERY overwhelmed by mine at the moment. Not because I feel like I have too many, but because I'm finally getting around to sorting out what I'm selling and what I'm keeping, which involves matching up clothes and accessories to the doll they came with. Not fun when a good 60% of your collection came from yard sales and therefore had no semblance of organization. I have banished my MH dolls to the shelves over my TV and the table. Although I have a few here in London, too. I am contemplating another purge, though. I want to have the dolls I like most, and nothing I don't need. I am not minimalist as a rule, but this collection is kind of like that for me. My Jem dolls are the only other doll collection I have but they have a purpose built cabinet which was put in when our rooms were redone years ago, and so I make sure that dolls on display fit in the cabinet nicely and that keeps me happy. I did once feel overwhelmed by my Jems and then realised that I hate Jem herself, so why bother having her in the collection? After removing Jem, Rio and all the outfits I didn't really like that much, my collection became much more appealing to me. Hi Lhia! So scary, but glad you didn't have frightmares, and that the feeling passed after some rest. I've been packing up mine to move to a new house, and it seems endless. I'm definitely looking forward to getting the dolls unpacked and organized. Not with these dolls, since I only have like 4, but for sure. About a month ago, I decided I no longer wanted all of my "Superhero" Funko POPs (Various DC Comics and the common female DC Bombshells). I packed them all up, went to 2nd and Charles, and sold them all (for a horrible price). Honestly, I don't regret it at all. I just stopped wanting to collect those and just be done with it. Didn't want the hassle of shipping individually and dealing with that. A similar thing is happening to my DCSHG dolls. I am not ready to get rid of them, but I am constantly thinking "Man.. I don't really want most of these anymore." I pretty much just bought into the hype for that first wave. Looking at them now, I will probably only keep Batgirl, Starfire, and maybe Supergirl. I have Harley, Ivy, Bumblebee, Frost, WW, and SDCC Katana as well. I just don't like them as much unfortunately. It's both me feeling like I need a more "grown up" room, even though I'm only 23. And feeling like it's claustrophobic and I constantly want to redecorate/shuffle things around, but I don't have the room to do that, so it gets stale. Plus, I just want to collect other things. It may mean that you want to get rid of the ones you don't love as much. Maybe try the "packing a few away for a while to see how you fair" thing. Also, try and mix it up. I have no idea how they manage to collect so much dust and it's a pain to see them all dirty while on display.